Psychologist Chicago: What are the Physiological Effects of Deep Breathing Exercises and Why is it Helpful? 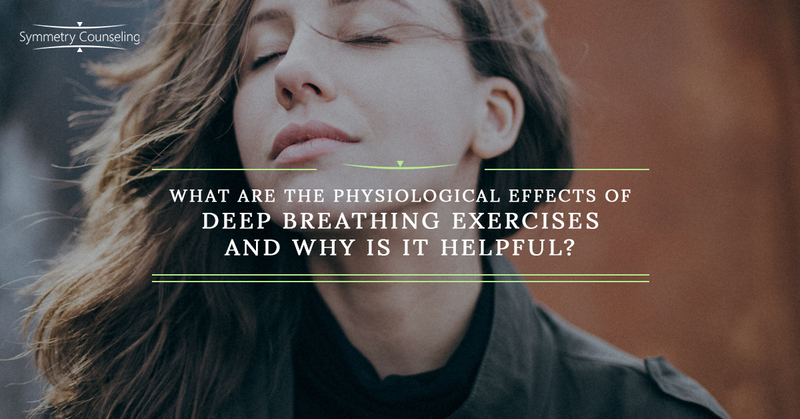 What are the Physiological Effects of Deep Breathing Exercises and Why is it Helpful? I work with many clients who are experiencing anxiety whether it is due to professional stressors or personal stressors. Part of my job as a clinical therapist is not only to assess reasons why clients are experiencing their symptoms of anxiety, but also to work with them on possible coping strategies to reduce their symptoms. I have read numerous research articles that explain the connections between our mind and body, especially when it comes to anxiety. For example, sometimes when we feel anxious, our breathing can increase to a rapid pace. When feeling anxious, it can be helpful to try to focus on our breathing and slow it down in order to reduce our anxiety. I recently read an article that touched on this very topic from The Cut “What Deep Breathing Does to Your Body” by author Amanda Arnold. Arnold discusses physiological reasons why deep breathing exercises can help reduce anxiety. Below are few key points from her article. How does my body react to stress? It can be helpful to look at our bodies as communication tools when feeling stress. For some people, it can be rapid breathing, heart racing, sweaty palms, stomach pains, and even headaches. Our body is a communication tool due to our sympathetic nervous system, which most people refer to as our “fight or flight response”. The sympathetic nervous system is evolutionary all the way back to our ancestors who would use it when they were about to be attacked by a predator, such as a wild animal. Wild animals. Our new “wild animals” in present day are chronic low-level stressors we experience daily such as waiting in traffic for too long, talking with a stressful coworker, relationship problems, or maybe studying for a stressful exam. These stressors certainly can take a toll on our bodies. When these stressors occur, cortisol and adrenaline fill our bodies. So now what? So now that your body is filled with cortisol and adrenaline due to a stressor, such as a relationship problem, what can help to reduce this physically and emotionally uncomfortable feeling? Deep breathing. Yes, deep breathing physiologically can help take away this uncomfortable feeling. Esther Sternberg, research director at Arizona Center for Integrative Medicine explains that through deep breathing, it interrupts the stress response. It does this by turning up the vagus nerve, which then turns up the parasympathetic nervous system. Through doing deep breathing exercises, it essentially acts as a break on the stress response. Body’s relaxation response. Sternberg explains that vagus nerve can do a variety of things such as stimulates your body to relax, inhibit inflammation, slow down your heart rate, and also help you make memories. Preventions. Through deep breathing, it can even prevent stress reaction in the first place. Sternberg also encourages individuals to practice deep breathing exercises even when they are not particularly feeling stressed. Doing this daily, will help it become a routine for individuals. Routine. Sternberg recommends to start this daily either once or twice a day for just two minutes. When breathing, she recommends breathing in for eight seconds and out for four seconds. There are a variety of methods as far as the counting, as some recommend breath in for four seconds, hold for seven, and out for eight seconds according to Dr. Andrew Weil’s popular method. I often encourage clients to simply find which counting techniques works best for them, as I believe they truly know themselves more than anyone! If you are currently struggling with anxiety, it may be a good idea to connect with one of our skilled counselors at Symmetry Counseling today. You can contact them at 312-578-9990 to set up an appointment.